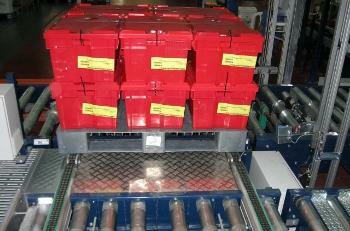 The right pallet is essential for high spec, high tech, automated handling. A 1200x1000mm, heavy-duty precision pallet, engineered to easily take heavy loads in high-bay, narrow aisle, automated handling systems is now available in the UK & Ireland. Designed for integration in automated handling systems either after build or ideally during construction design, the Dolav MV 1000 polypropylene pallet meets rigorously demanding criteria. In an automated, high-tech warehouse, automatic pickers, conveyors and turntable need every single pallet to behave and perform exactly in the way for which the computerised equipment is programmed. This is exactly what the Dolav MV 1000 precision pallet is designed for and delivers. 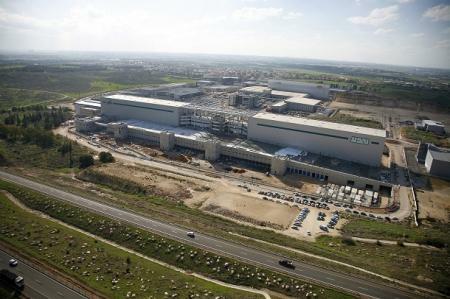 Developed initially to meet the demands of the $100 million state-of-the-art logistics hub of 77,000 square metres, for Teva Pharmaceuticals in the blazing heat of Israel's desert, the Dolav MV 1000 pallet can take the heat. It can also take the cold and stay within tolerance. Temperature performance parameters in use can be -15°C to +60°C and up to 80°C during cleaning. Impact resistance of the new polypropylene compound is 30-50% better than HDPE compound at ambient temperature. 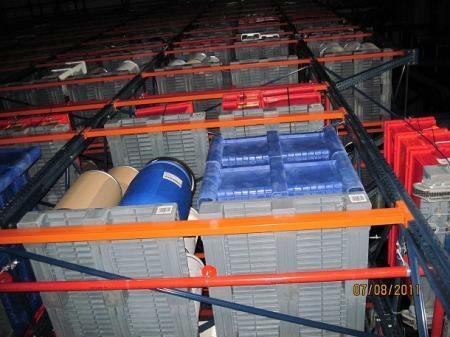 This polypropylene Dolav pallet has three integrated skids and is reinforced with three steel bars. The new-design polypropylene Dolav MV 1000 precision pallet meets stringent specifications for maximum loads of 8000Kg static, 2250Kg dynamic and racking of 1750 Kg. At 1200X1000x150mm the pallet weighs just 25Kg and deflects less than 3mm in the 23oC ambient heat of the Israeli warehouse for 30 days at a load of 1000Kg on a 1000mm rack opening. Long lifetime durability in racking and transport offers an excellent investment to match and compliment the investment in warehousing and transport. Made from food-quality, easy-to-clean polypropylene, the pallet is designed to eliminate cavities and all openings are capped. In addition to achieving compliance with FDA/GMP requirements for pharmaceutical environment, Dolav has added options including perforated platform, safety rim, two runners and nine-leg versions for other customers.